Do you normally hate the way your face look on the mirror? Having pimples and spots on your face not only makes you less attractive but it also affects your self-esteem badly. Acne affect everyone from young people to the old, although teenagers are known to be the most affected. There’re different types of acne as well as different type of skin. It’s therefore important you know your type of skin and pimples you have in order to treat them appropriately. The following tips will help you to know how to have and maintain a clear and flawless skin. · Use of make up remover; to remove the eye makeup, soak a cotton ball with your make up remover and gently wipe your eye in downward motion. Apply some pressure while doing this. · Use of daily cleanser to dry skin; apply your daily cleanser on your face using your fingers and massage it in a circular motion. Use a wet washcloth or cotton ball to wipe your face and lastly apply a cool cream. · Use petroleum jelly to remove your lip color by simply applying it on your lips, wait for about five minutes and then wipe it out with a clean cotton pad. Make it a habit to exfoliate your skin at least weekly. This help to remove dead skin cells, leaving your skin smoother and healthier. There are various ways you can exfoliate your skin without having to spend too much. The easiest being the use of fresh lemon juice. You need to wash your face with water, dry it and wipe it with a cotton ball that is saturated with fresh lemon juice. If your skin is more sensitive, you can add water to the lemon juice. Acne should never be popped to avoid leaving your skin with scars. But they should be treated appropriate as soon as they appear. Papule treatment comes in various methods, both home remedies and professional treatments. Acne that are caused by hormonal changes, for example those appear during menstruation or menopause, can easily be treated by the use of home remedies while those which are generic can be treated professionally. The appearance of your skin is also determined by what you eat. Eating lots of fruits especially those that have high content of water like watermelon and cucumber, and vegetables cleanse the oil on your skin leaving it flawless. Make sure to always take enough water to keep your skin hydrated. 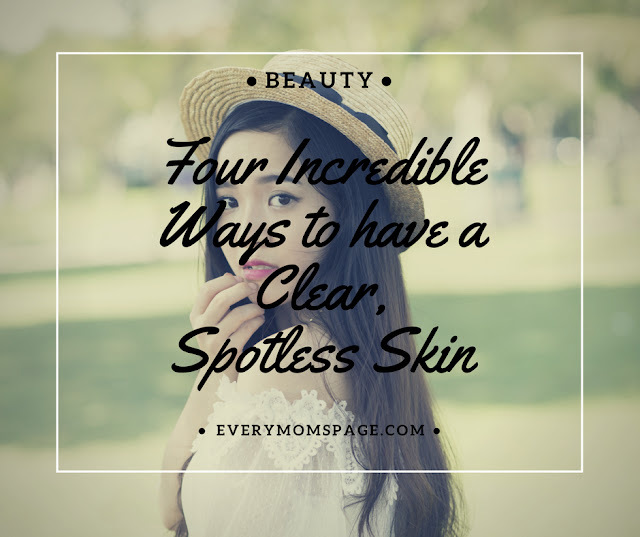 These are some of the things you can do to keep your skin smooth and spotless. Moreover, stress will do no good to your skin too. So avoid it. One way to di-stress your mind is by getting enough sleep. Sleep for about seven to eight hours in a day and enjoy a healthy skin!